With reports of Australia clamping down even further on smoking, it is perhaps a good time to remind ourselves of the laws in England about smoking and the perhaps newer issue of vaping (aka e-cigarettes) at work. Workplaces (including company vehicles) must usually be kept smoke free all the time. Employers are also obliged to display appropriate "no smoking" signage as a reminder to their employees and visitors. It is a criminal offence to smoke in a non-smoking area and employers can also be held responsible if they fail to prevent smoking taking place. Employers should ensure that they have a clear and comprehensive internal policy in place so that employees are very clear about their rights and obligations concerning smoking. It is currently legal to use e-cigarettes (as they do not contain tobacco). However, the World Health Organisation published a report into the health effects of e-cigarettes and other electronic nicotine devices and concluded by recommending a ban on their indoor use. Employers may decide to impose a vaping prohibition in the workplace too, perhaps mirroring the smoking prohibition. However, any such policy should be carefully considered, since there is evidence that many use e-cigarettes as a step on the road to quitting altogether and many employers would wish to support employees who vape for these purposes. Any policy that is put into place should make clear what exactly is banned as well as explaining the consequences of any breach. It would also be wise to consult with employees prior to implementation to allow employees to adapt and/or change their patterns of usage. Australia was the first country in the world to introduce mandatory plain packaging for tobacco products - and the UK will have followed suit by May this year. 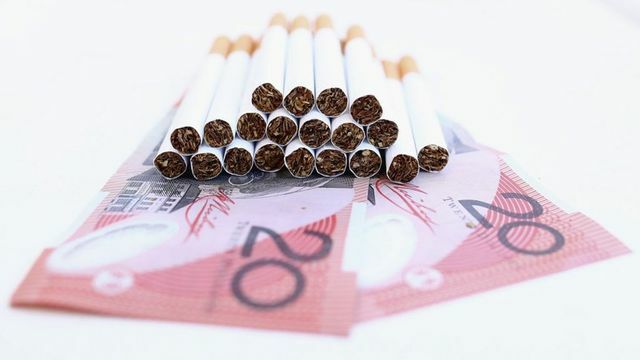 But will any country copy Australia's plan to keep increasing taxes until a packet of cigarettes costs AUD$40 (£24)? It's not easy being a smoker in Australia. The smoking bans started inside - in workplaces, bars and restaurants - and moved out... "Now, smoking is prohibited within 10m (33ft) of a playground, within 4m (13ft) of the entrance to a public building, at rail platforms, taxi ranks and bus stops."